The Supreme Court on 19 May, adjourned the hearing on all the petitions challenging the Central Government's decision to make Aadhar card mandatory for availing various government schemes till June 27. The apex court, earlier, agreed to grant an urgent hearing over the issue after senior lawyer Shyam Divan mentioned the matter before it. 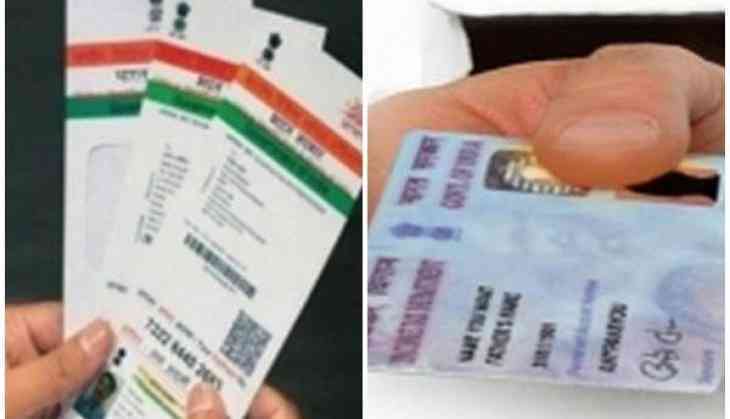 Earlier on May 4, the top court reserved its order on whether to make Aadhar mandatory for getting a Permanent Account Number (PAN) and to file tax returns. Attorney General Mukul Rohatgi informed the apex court that Aadhar is unique and cannot be duplicated. The lawyers appearing for various petitioners, however, argued that the system was not full proof and could be tampered with. Rohatgi defended the Centre's decision, citing it was done to curb the use of fake PAN cards across the country. Rohatgi said the Centre was entitled to have identification and people couldn't claim immunity from it. "There are safeguards for privacy under the Aadhar Act. Under the act the authority shall ensure security, confidentiality of data," Rohatgi said. The Attorney General argued the matter on the point of Section 139AA, inserted in the Income Tax Act under the Finance Act, 2017. Earlier, the apex court had rapped the government for making Aadhar compulsory for filing Income Tax returns. It referred to its order in 2015 when the apex court had made the Aadhar optional. Referring to this, the court said, "How can you make the Aadhar card mandatory, when we have passed an order to make it optional?" The Attorney General argued that mandatory Aadhar was the only way to check black money. The court, earlier on March 27, specified that the Aadhaar card should not be made mandatory for availing governmental schemes. In a violation of the apex court's order, the Centre introduced last-minute amendments to the Finance Bill 2017, making Aadhar mandatory for filing taxes.